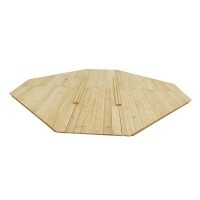 Lifespan Captain Boat Sandpit Cover Only..
Keep your Sandpit clean and covered with our Sandpit Hard-top Wooden Covers. These lids/covers c.. The perfect accessory for any sandpit. This will offer hours of creative fun for all kids. The Littl.. The Mighty Rectangular Sandpit Cover is made up of treated Timber for long term protection against r..
Make your Lifespan Amazon Monkey Bar always new. If you need those steels and components replaced, t..